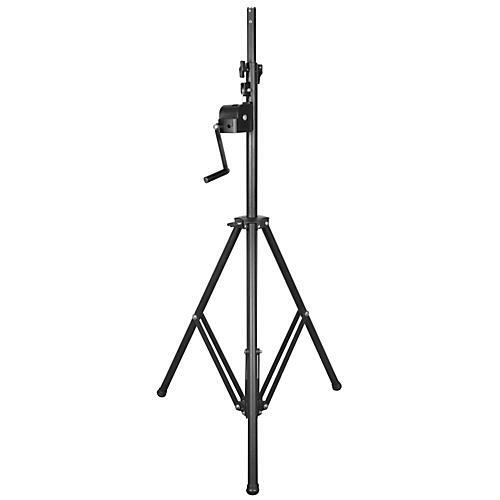 This lightweight tripod crank stand is geared towards production companies and the mobile entertainer. It comes complete with an adjustable T-bar adaptor which fits multiple sizes of truss. The all-metal construction means there's no need to worry over plastic parts breaking. The crank winch has a built-in brake and a folding handle for safety and ease of use, while hard rubber feet help protect flooring surfaces from scratches and a built-in safety lock prevents your speaker from coming down uncontrollably.